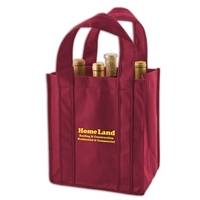 It's easy to see why this stunning wine tote bag is a natural favorite among our customers. Both functional and fashionable at the same time, it's the perfect size for storing bottles of wine or slim gifts that simply wouldn't fit in any other packaging. Pretty, effective, and designed using sustainable materials for that extra good feeling, this gift/wine tote bag is perfect for the holidays, gifts, wineries, and distilleries alike. 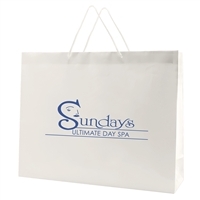 It is ideal for showing your customers and special clients that you appreciate their custom! It is available in a range of high quality colors, including natural beige and navy, natural beige and black, natural beige and green, natural beige and orange, natural beige and turquoise, and natural beige and maroon. 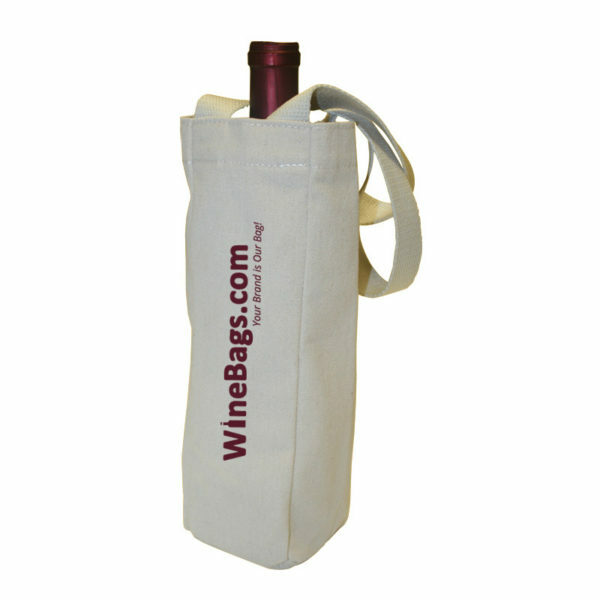 You can customize your gift/wine tote bag to represent your brand colors. What's more, your logo can be imprinted on either side. 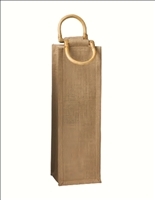 Why place your bottles and gifts in plastic or paper bags, when the bag itself can be an extra added bonus? These tote bag creations are carefully signed to be reusable, efficient, and eco-friendly, as they are made from recycled cotton canvas. 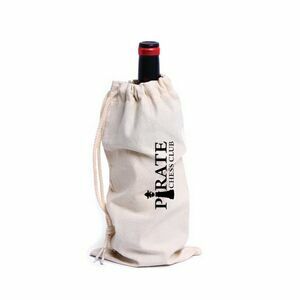 What's more, they include small elastic holders and dividers that stop wine bottles from clanging against each other as they're carried. 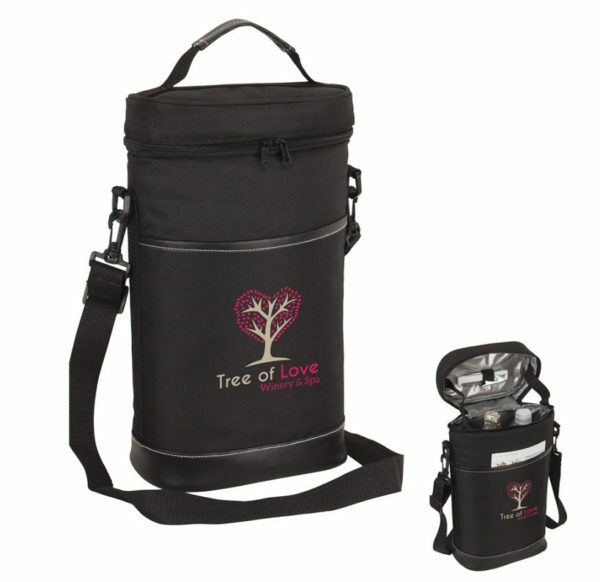 No more need for double bagging, no worries about broken glass - just an effective and beautiful gift that works for any customer. 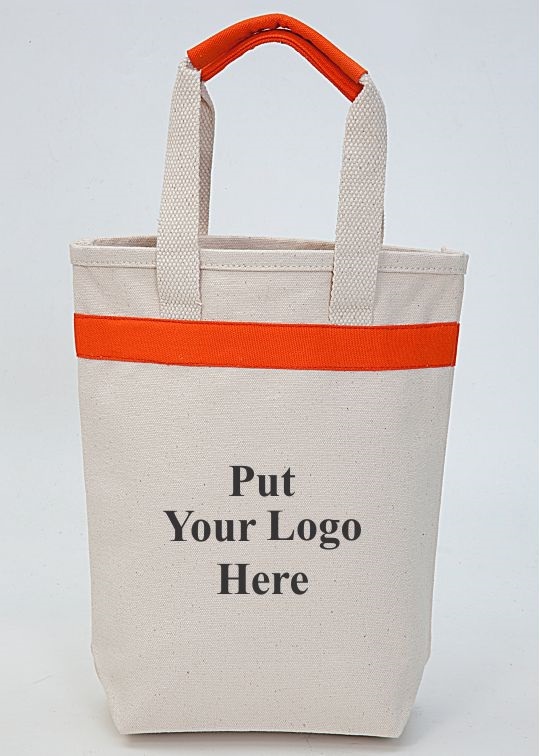 If you want to give your customers and clients something extra special to remember you by - upgrade your gift with a bag that really does give something back.